When Christopher Stephen-Haynes of City Accountants Bloomer Heaven agreed for TLC Lottery Manager, Carl Bayliss, to present to his team he knew that his staff were keen to do their bit for charity. And in the 15 minutes it took for Carl to detail everything half the Bloomer Heaven team had signed up for tickets to support the three local, TLC supported, Charities. In addition, and taking 10 weekly entries, Bloomer Heaven itself had also signed up. 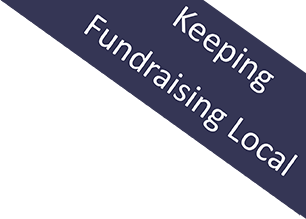 Not only does this support raise the equivalent of £5000 for Acorns Children’s Hospice, Birmingham St Mary’s and Focus but, rather than keep prize cheques to itself, any company winnings will be paid into the business charity fund. This will then be split between other good causes in and around Birmingham. “We are all delighted to be supporting TLC and to be helping local charities. As specialists in this sector we are passionate about helping charitable organisations wherever we can, especially those in the Birmingham area.” Says Siobhan Lloyd, Marketing Coordinator at Bloomer Heaven.